Beaches are everywhere in Goa. Do not miss any of them. But, the ample options can confuse anyone. What should be the best way out? 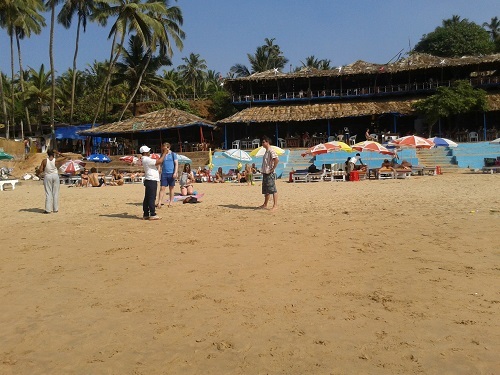 Try to visit the most fascination beach in Goa – Anjuna Beach. Either it is nightlife, shopping, guesthouse, water activities or anything else, you will find everything at Anjuna Beach. This beach has always been famous for its history as well as the present. If you are someone who is fond of nature and adventure then this is the perfect place for you. The Hippe culture and the flea market will surely make you fall in love with the place. You may not want to come back as soon. The pebbles around the sea, watching the rising sun, hills in the background, sitting on the red rocks, sipping the local drinks and clicking the picture. Isn’t it too refreshing? Finding and enjoying the real beauty of landscapes makes it as alluring as possible. What are you waiting for? The rocky beach with a soothing weather is waiting for your response. The hippie moment of 1950’s and 1960’s that unchained western youngsters and propelled them to get connected with their soul and nature. Anjuna was a place where this movement gained prominence. History reveals that these youngsters came there and discovered it. Rave parties with tripping music and drugs were so common and people enjoyed it. It soon spread to other parts of Goa and this is how it has been extended to the present date. Now you know why it has been tagged as a Freak Capital of the World? It is located in the North Goa region. It touches the Arabian Sea. It is located 8 km west of the Mapusa Town. This place is 18 km away from Panaji that is the capital of Goa and is in Bardez taluka. Looking for economical Stay in Goa? 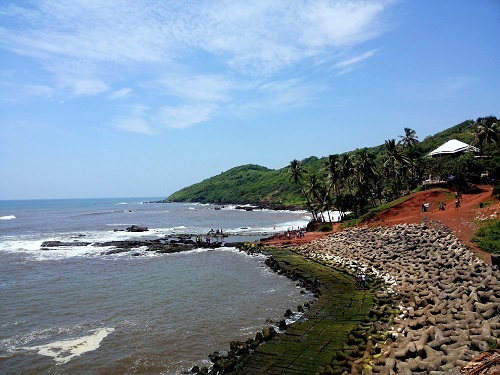 Anjuna Beach is the most favored placed to stay by the ones who are not interested in spending much on hotels. The place is ideal for those who are there for a long stay with a cheap and amazing place to stay. If the concern is not about the money, all the luxury is right in front of you. You don’t need to look at the best hotels. Choose any and you will find it comfortable and classy. The hotels and resorts are easily available except in the month of December and January. So you can advance book them on the online booking platforms. 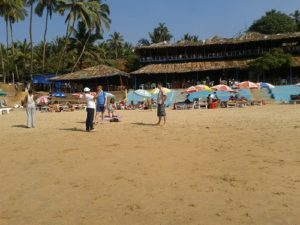 The most popular resort is the Anjuna Beach Resort. How long is Anjuna Beach? The coastline is around 30km long and the extent of the beach is almost around 2 km long; you may walk over it several times without even getting tired. The water activities, cafes, restaurants, guesthouse, yoga activities, Ayurvedic massages will not let you feel low for even a moment. What are the most thrilling water activities there? Jet Skiing and Paragliding are the hottest water activities in Anjuna Beach. Now the question is there are other beaches in Goa which gives the opportunities to the visitors to avail the water adventure then why should someone opt for this beach only? Because it is an adventure at a low cost! And money is something which can make or break a plan. We are sure that you don’t don’t want to break it. Does Anjuna Beach have adventure activities? The beach offers a wide range of adventure activities. Sports like windsurfing, scuba diving, parasailing, paragliding are present there. This adds much more spark to the trips of the tourists. All activities at one single place are rare to find. If you would like to see a view of the ocean from the top then this is the best option to explore. Bungee jumping from an 80-foot high tower is there and no one wants to miss that. This is called the gravity zone which was formed long back. What about the nightlife in Anjuna Beach? The nightlife of the place is not far behind. People come here to enjoy the nightlife with drinks in their hands and music in their mind. Also, the happiness in their soul. If you like the crown then you may plan to visit there in the month of December and November. The full moon parties to celebrate the new year and Christmas celebrations. This place is indeed a party spot. What are acid house parties there? These are also called the full moon trance parties which are high spirited, exciting and the most frolic parties in the area. The party is even extended till the after parties. Can we shop at Anjuna Beach? 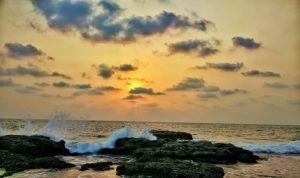 How to reach Anjuna Beach? We consider that you will reach Goa by yourself. After reaching there, get a train to Thivim station. From Thivin you need to take a bus to Mapusa bus station. After you reach Mapusa bus station you have the option to take another bus or a cab. Just for your information: Anjuna Beach is a 2 hours drive and is 67 km far from the main city. Apart from this Dabolim airport is just 29 km from Anjuna Beach. The highlights of Goa include renting out a vehicle. Most of the victors opt for this as this cost them around Rs 250 per day. What else do you want? Some things need no mention at all. Still, we are mentioning the sunbathing and swimming can be availed by anyone free of cost. Because the fun doesn’t demand money, it demands the mood. It is a delight for your trip. The food options are never-ending in the place. Sea-food, continental, Italian all the verities of dishes are present here. We recommend you to try each of them. Don’t repeat the same dishes, instead try different every time. 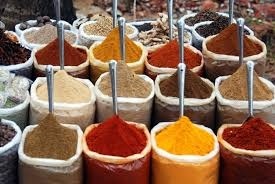 Because all with memories you should carry some taste of Goa with yourself too. Some of the best restaurants and clubs are located near the poolside only. You just need to find out the right one and munch it on! German bakeries, Heidi’s Beer Garden, Shiva Valley Café and Café Lilliput are not to be missed. The most famous Baga beach is just around 5km far from Anjuna beach. You can find dolphin cruises, banana rides and parasailing on this beach. 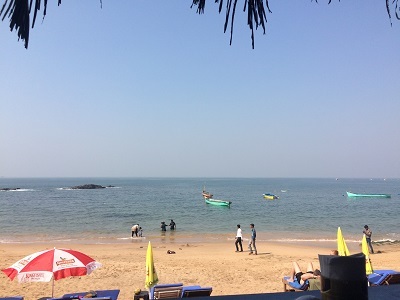 Calangute Beach is around 9 km away for the Anjuna Beach. It is a very famous beach amongst the visitors. You can visit the nearby temples. Kutteshwar temple, Sri Ram Mandir, Mahadev temple, and Bhumika temple are names of few of them. Chapora fort and Mascarenhas Mansion are two places which are inside the premises of the Anjuna Beach. Ozran beach is around 3km from this place. The beach is located behind hillocks, on which the Chapora Fort is situated. Curlies Restaurant has been ranked as the topmost place there. Sunblock for saving the skin on the beaches. Buy Colourful dresses because the more color you add to yourself, the much brighter will be the view outside. Selfie stick because no one wants to miss the picture with an amazing background. The landscape is something which offers beautiful and memorable pictures to you. Tips before you reach there? Don’t get involved in any illegal activities and just focus on your trip. Don’t trust people too easily and think before doing something. Take care of your kids and teach them everything before you reach there. Take care of your health. Don’t drink too much as might spoil your health. Walk as much as possible. Always carry sufficient money with you. Thus, the unique features of Anjuna Beach make it a full fledges tourist destination. You may encounter many foreigners there enjoying them at a foreign land. The dazzling atmosphere may extend your vacations too. The rocky shores are inviting you now because October to February is the best time to visit this place. 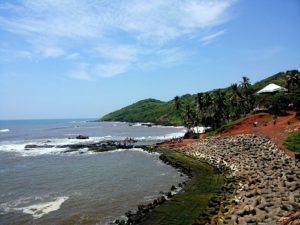 Finally, to add something to your knowledge, Anjuna is just a sea-side village has a history which attracts visitors to this place. The above-mentioned article was just a bit about the beach, it has much more than you may even imagine. If you have visited the place then you know what that means and if you have not then planned a trip soon. Hope that the above-mentioned points were and will be useful for you. Why Is Everyone Talking About Places To Visit In India – Before You Die?